Several MSU undergrads presented as grad students judged. The Arkansas IDeA Network of Biomedical Research Excellence (INBRE) is a way for students from several disciplines to collaborate in the science they all love. This year, the conference was held in Fayetteville, Arkansas. Two undergraduate students from Dr. Kyoungtae Kim’s lab presented their research. Two graduate students in Dr. Christopher Lupfer’s lab served as judges. 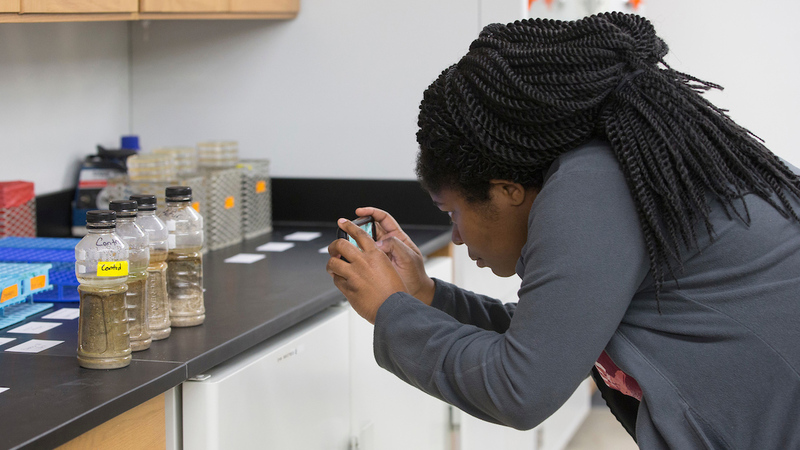 “This conference offers presentation opportunities for many undergraduate students who are engaged in independent research,” said Kim, associate dean of CNAS and professor of biology. Several PAMS students also attended. Chris Klenke, a senior PAMS major, won second-place in the physics oral presentation section for his research. “This avenue is the exact place where students can disclose their research findings to the public and can get feedback that further motivates their pursuits in science research,” Kim said. INBRE, which is held each November, is unique in several ways. It showcases undergraduate research, where many conferences focus on graduate research. INBRE is also cost-effective for students. It does not charge students for housing or food costs. It is also touted for its multidisciplinary approach, welcoming all majors and science departments. In the past, chemistry has also attended.